The first ever British professional Indian dance-drama based on Rudyard Kipling’s ‘the Jungle book’ and featuring young Akram Khan as Mowgli. 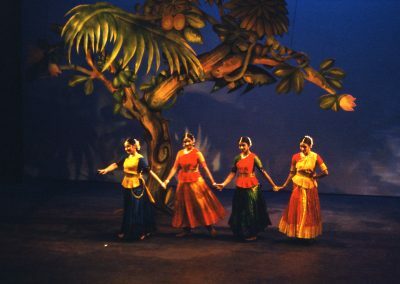 The Adventures of Mowgli was the first ever British professional Indian dance-drama that premiered at Bloomsbury Theatre in 1984. It was the first major production of the Academy of Indian Dance (Akademi) and was a major step in the development of a contemporary British South Asian dance style, blending various South Asian dance styles in a theme expressive of both British and Indian culture. 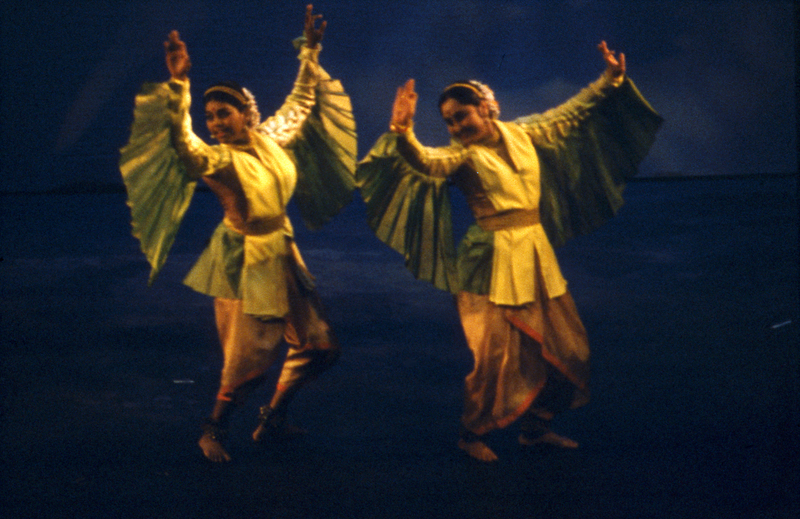 The Academy wanted a subject accessible to eastern and western audiences in Britain while offering challenges to dancers in the South Asian dance tradition and John Chapman, co-Director of the Academy, came up with the idea of using Kipling’s The Jungle Book. 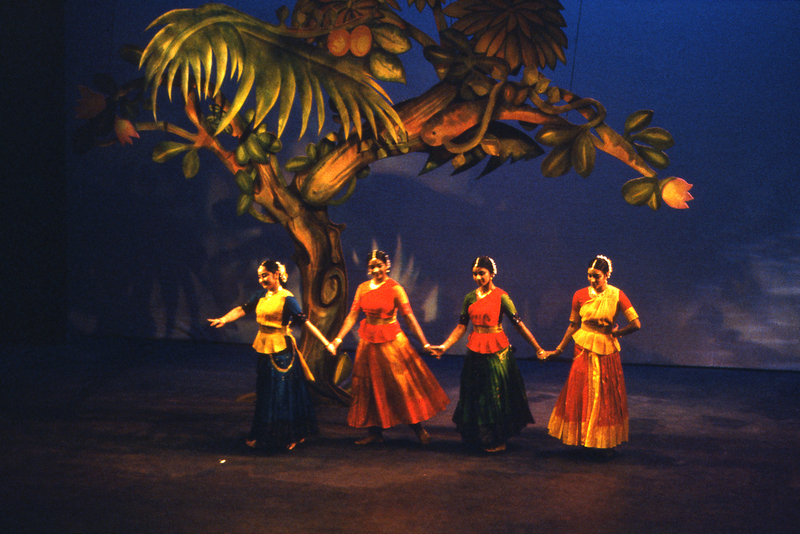 It was also the first major Indian ballet to receive Arts Council funding. 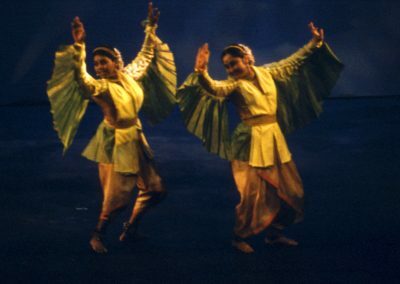 Choreographers V P Dhananjayan and Pratap Pawar, who created the Kathak movement, felt that it offered new and exciting possibilities for a dance style more often used to express the exploits of gods and heroes. 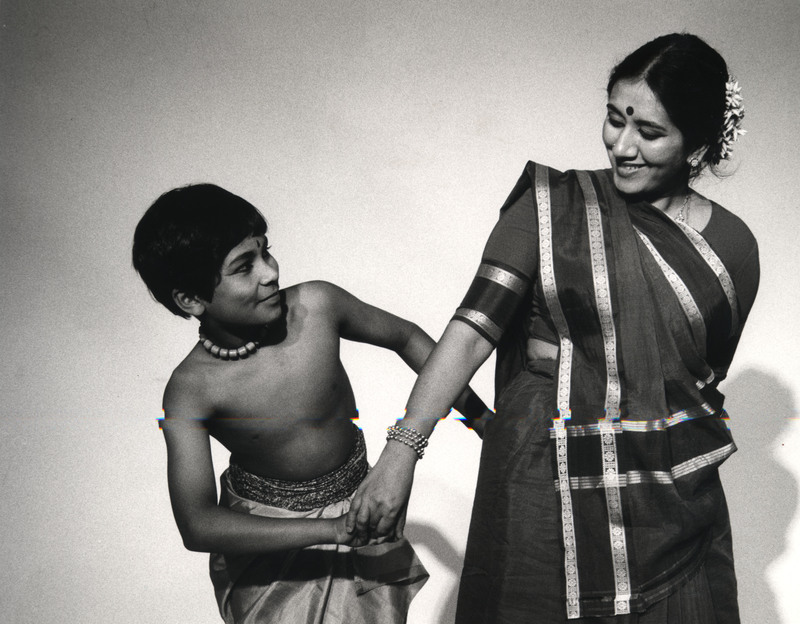 The choreography blended North and South Indian styles of Kathak, Bharatanatyam, Odissi and Kathakali and was a significant move in the development of traditional South Asian dance into a contemporary context. Its cast included Shobana Jayasingh and one of the Academy’s own pupils, ten-year-old Akram Khan, as Mowgli. The costume and props are now a part of Victoria and Albert Museum’s collection, as donated by Akademi. VP Dhananjayan, Pratap Pawar, Pushkala Gopal, Priya Pawar, Unni Krishnan, Jayashri Naidoo, Shobana Jeyasingh and Akram Khan.